On this site you will find information about how to keep Kosher in Oxford, as well as options for Kosher accommodation, whether you are a student who keeps Kosher at home and lives in non-Kosher accommodation in Oxford, you wish to begin observing the Kosher dietary laws, a family wanting to Kosher their kitchen or just interested in finding out where to find Kosher food in Oxford or to eat out in London. 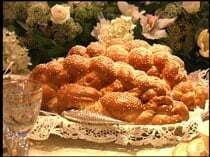 We have added basic facts about keeping Kosher, full details about The Oxford Kosher Shop - Kosher Ox - click here, The Oxford Kosher Cafe - Click here - and an extensive list of Kosher shops, restaurants, delis, bakeries and hotels in London and Manchester. 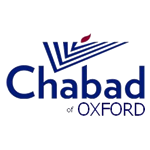 If you have any questions about Kosher food or keeping Kosher in Oxford, please contact Rabbi Eli or Freidy Brackman at the Oxford Chabad House, tel. 01865 200 158, or click on 'Ask the Rabbi' on this website's homepage.